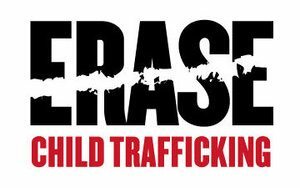 ERASE Child Trafficking is a U.S. based organization with global impact. We are focused on eliminating child trafficking by implementing a holistic approach, from education and recovery to life reclamation. ERASE’s mission is to be a unifying voice creating a cultural shift in the perception of child trafficking, working towards its eradication by empowering action against this inhumanity through education, recovery and life reclamation. *ERASE Child Trafficking does not and shall not discriminate on the basis of race, color, religion (creed), gender, gender expression/identity, age, national origin (ancestry), disability, marital status, sexual orientation, or military status, in any of its activities or operations. These activities include, but are not limited to, hiring and firing of staff, selection of volunteers and vendors, and provision of services. We are committed to providing an inclusive and welcoming environment for all members of our staff, clients, volunteers, subcontractors, vendors, and clients.